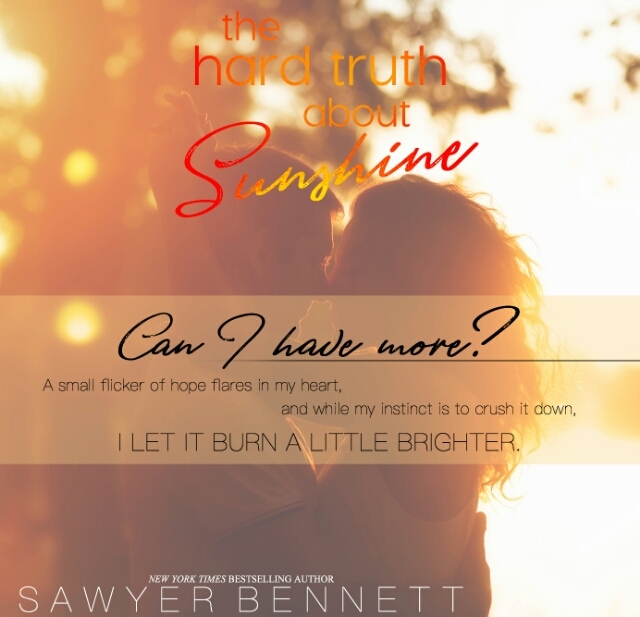 Hands down, this is one of the best if not the best Sawyer Bennett book that she has written. Going into this story, I knew that it was going to be a different look from her, having read her Off series and the hockey series. And I loved, loved, loved every second of it. The book touches on a lot of tough issues that we see today, especially death. The main focus is on Christopher who leads this group of people who have gone through or are going through traumatic experiences from the past. He himself suffers from PTSD after losing his leg and some fingers during one of his tours. I was enthralled by Christopher’s story and how he comes out from the darkness of his experience to fine light (i.e. sunshine) in the other characters in the book. 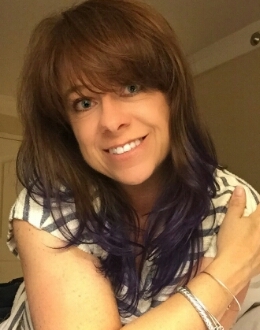 Like any road trip, there are some fun times and light moments, but it’s the real moments that shape your memories or your feelings about the book. Sawyer Bennet doesn’t shy away from the issues and faces them head on drawing real, raw emotion with each and every word that she writes. For me, this book sets apart from her romance novels (even though this one does have a love story). 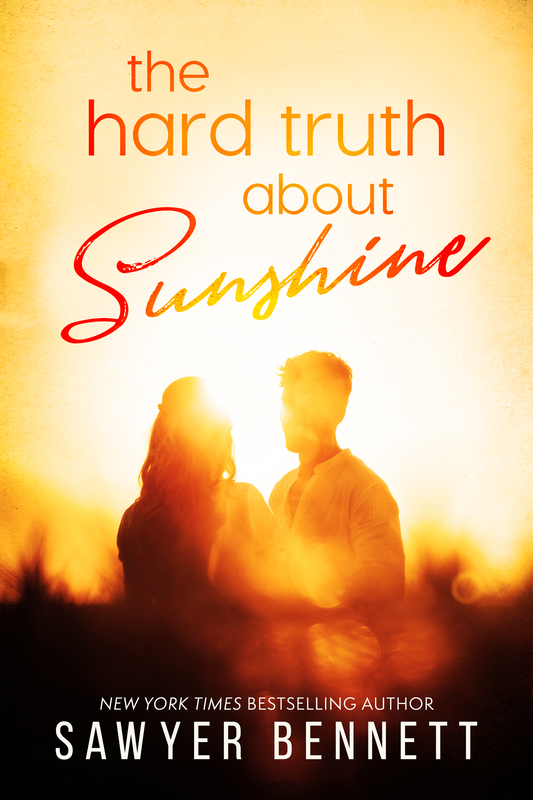 This book is a book that forces you to look at your own life and wonder how much sunlight do you actually let in. Are you happy with your life? Because if not, you should. You should only see life in lights and colors because that’s all you get. One life. That twist though! Omg. Like I knew something was gonna happen because you could just feel it. But when it does, its just heart breaking and hurts you right down to your soul. I had hoped that it would be one of those ‘while I expect it to happen, I really hope it doesn’t’ kind of situations. Mainly because I didn’t want to cry. Also, I am not one to read forwards or anything like that. I usually just end the book when the last word is written, but this one I did and I’m glad I did. Bennett experienced something that I have experienced once and the way she explains what happen makes so much sense. We thank these soldiers for their sacrifice but many of them probably are angry about what happened and by us thanking them it only reminds them they lost something when they were at war. I hope that Bennett does something like this again because I would love to read more. 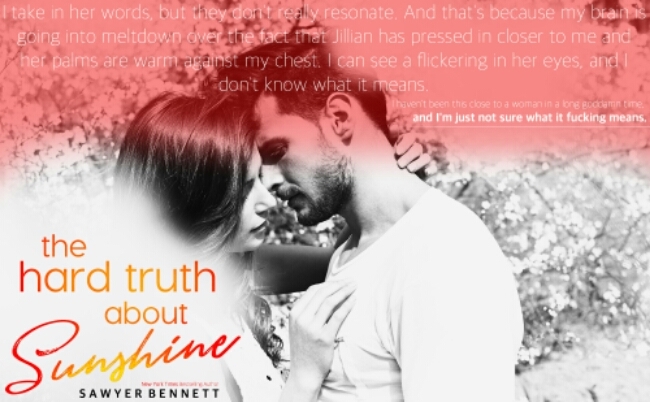 This entry was posted in Books and tagged InkSlingerPR, Sawyer Bennett, The Hard Truth About Sunshine.